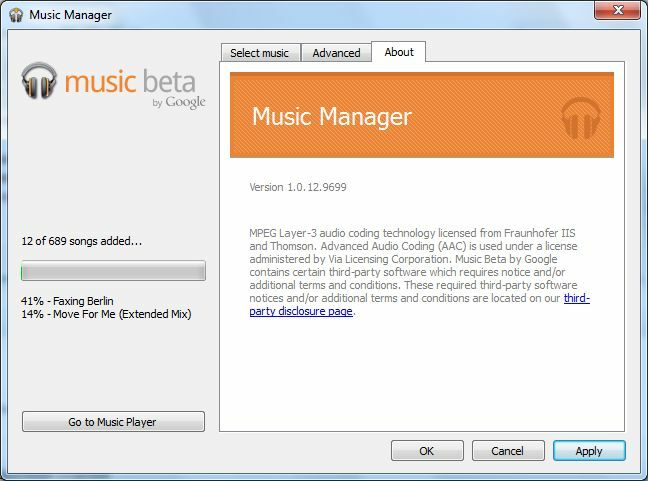 Music Beta by Google. You’re Invited! Пришло одобрение инвайта на Music Beta by Google. Теперь моя музыка доступна мне в любом месте, где есть интернет. You received this email because you requested an invitation to Music Beta. Music Beta is available free for a limited time. If you choose not to complete registration you will not receive further email communication from Google regarding your invitation. Welcome to Music Beta, a new service from Google that lets you store your personal collection online and access it instantly without the hassle of wires or syncing. Enjoy your music anywhere — listen on any web browser or your smartphone or tablet running Android 2.2 or higher. Save your favorite albums, artists, and playlists on your device so you can keep listening even when you’re not connected.